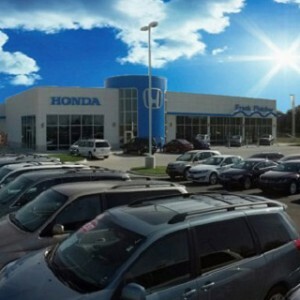 When shopping for the safest SUVs, Mid-Missouri drivers know that there’s one name they should start with: Honda. The Honda brand has built a reputation for safety that goes back decades, and their vehicles were some of the first that bucked the trend of SUVs that were eager to roll over—current models even have features available that can help a driver avoid a crash entirely. From the frame to the features, the 2016 Honda HR-V, CR-V, and Pilot are some of the safest SUVs we have ever seen. Let’s see how they score on industry safety tests. Honda’s advancements in standard features have given drivers access to Bluetooth phone and audio and an LCD display screen in nearly every vehicle—including the three current SUVs—but the standard features upgrade goes beyond just tech amenities. There is also a multi-angle rearview camera that comes standard on the HR-V, CR-V, and Pilot, giving you three different angles of what’s behind your SUV before you back out of a driveway or parking spot. Just shift into reverse and the video feed comes up on your display screen. 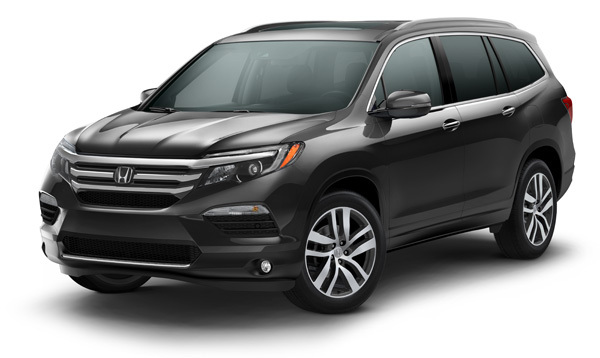 It’s features like these that make Honda’s lineup some of the safest SUVs on the road. When it comes to safety scores and crash test ratings, there are two organizations that lead the pack: the National Highway Traffic Safety Administration (NHTSA) and the Insurance Institute for Highway Safety (IIHS). While they both perform crash tests with the vehicles, they also look at other aspects of modern safety to give drivers a better idea of which models might be the safest SUVs. The NHTSA rankings are straightforward, a 0–5-star system. The IIHS is a bit more complicated. To earn a Top Safety Pick, a vehicle must earn top scores (“good”) in all five of the available safety tests as well as a basic rating in frontal crash prevention. To earn their highest award—Top Safety Pick+—a vehicle must earn an “advanced” or a “superior” in crash prevention. How did the Honda lineup score? We’re glad you asked. The 2016 CR-V earned a Five-Star Overall Vehicle Safety Rating, made it onto the Kelley Blue Book “Best Safety Rated SUVs of 2016” list, and scored a 2016 Top Safety Pick+ from the IIHS (on models with Honda Sensing frontal crash prevention). The 2016 Pilot took home a Five-Star Overall Vehicle Safety Rating from the NHTSA. It also earned a spot on the “Best Safety Rated SUVs of 2016” list from Kelley Blue Book, and made its way onto Kelley Blue Book’s Best Safety Rated SUVs of 2016 list. Honda Sensing–equipped models took home the 2016 Top Safety Pick+ from the IIHS. What Are Honda Sensing Features? We’ve mentioned “Honda Sensing” features a few times already, but we haven’t really gone into detail about what they are or why they matter. 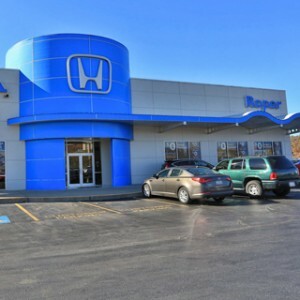 At Mid-Missouri Honda Dealers, we think they are the future of safety and are representations of what the safest SUVs of tomorrow will look like—except they are here today on Honda vehicles. Collision Mitigation Braking: This system is able to detect if a collision is imminent and actually apply the brakes to slow or stop the vehicle and attempt to avoid the collision or reduce the speed at which the vehicle enters it. Forward Collision Warning: Before Collision Mitigation Braking kicks in, the vehicle will actually give you visual and audio warnings that a forward collision is likely thanks to a combination of camera and radar systems. Lane Keeping Assist: The vehicle can monitor the markings on the road with a camera on the front end. If it senses those markings are moving to the left or the right—signaling a drift in lanes—it will warn you to bring your attention back to the road. Road Departure Mitigation: Like with Lane Keeping Assist, this system watches for markers of the edge of the road to help ensure you only head off-road when you want to. Adaptive Cruise Control: This system monitors the speed of the surrounding vehicles and automatically adjusts cruise control settings to the flow of traffic so you don’t have to. While there is no safety measure that can replace being an attentive driver, features like these can help keep your attention where it belongs: on the road. Knowing your SUV has your back when it comes to safety can give you the peace of mind you need on the road. Honda Sensing features can be found on the 2016 CR-V Touring trim level and on EX, EX-L, Touring, and Elite trims of the 2016 Honda Pilot. 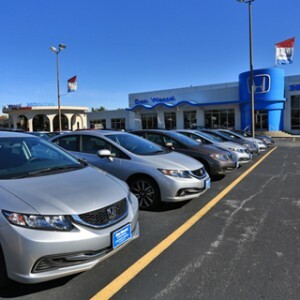 We want to help you find the safest SUV for your business or family, and we think the Honda lineup is the best place to start. 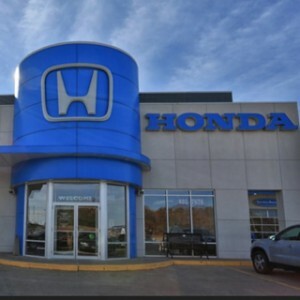 Visit a Mid-Missouri Honda Dealer near you today to take a test drive of one, two, or all three of these Honda SUVs. We’re sure that one of them will fit your needs.